I know a woman who on deep spiritual issues (and small ones) will close off conversations with, “I just know.” I have learned the futility of even asking clarifying questions once she’s pronounced her surety. I’ve experienced the consequences of waking her aggressive defensiveness from its slumber one too many times. Living in the ambiguity of life, in the space in which there are more questions than answers, can be disconcerting. It’s understandable to yearn for certainty in the midst of the inexplicable and perceived dangers. Despite our scientific strivings to answer the mysteries of our existence, we know little with absolute assurance. For many, religious dogma or a form of spirituality of “just knowing” provides, if not solid ground, than the illusion of it. We probably all dabble in pretending confidence without solid evidence at times. To do otherwise in at least some small matters would lead us to brain-freeze and the inability to take any action. To function, we need something onto which to hold on this slippery, rocky trail that is a little too close to cliff’s edge for comfort. Or do we? Must we have the dogma of absolute certainty of God or no-God to make sense of the world? Something within me allows me to tolerate the unknown mysteries, the ambiguity of life more openly than the woman who “just knows.” Even so, she and I are not that different. I experience a feeling of certainty that there is an essence that runs within my life and all of creation. I even have a name I call that core: God. 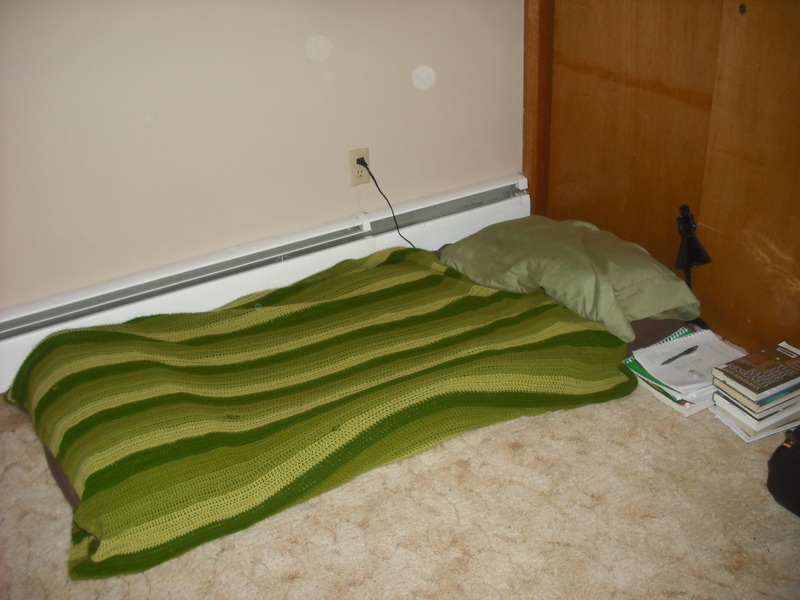 I find comfort in the experience of God as I deal with the randomness, the utter capriciousness of life. Still, she “just knows” and I don’t know. I surmise. I suspect. I perceive and wonder. And I doubt. At times I’m convinced it’s all made up. Whatever it, is. I make connections as I observe the natural world. I perceive that the experience I call God is the loving life-force that binds creation together. I observe this energy in nature as a forest renews just months after destructive fire. I sense vigor in the healing that comes after death within nature as well as human relationships. I also see much randomness and pain in nature and human relationships. Why wouldn’t I doubt? To doubt is to think. It is to pay attention as I traverse the rocky path. Sometimes doubt trips me up and I fall. As I get back up, I inspect my wound. Sometimes I scold myself for not paying attention, for doubting. Sometimes, without much thought, I just get back up and keep moving. Eventually the redness, the broken skin, or swelling dissipates. Though healing happens in time, I can never be described as good as new. I am changed. From the doubting and falling, from the self-annoyance and physical pain, I learn. Through doubt I again experience that energy I call God in relationship, transforming me into something more. Ambiguity, randomness, and mystery are full partners in life. I just know it, except when I don’t. McCall Point Trail still smells of burn. Containment lines are marked as no-hike, restoration areas in the natural preserve. 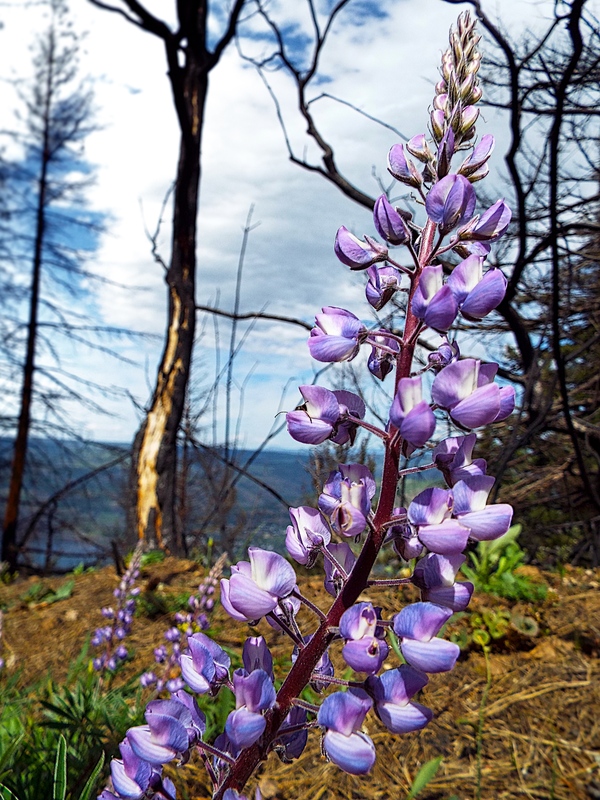 In many ways, my first journey on the trail since the early-August Rowena Fire was sad. The loss of brush and many trees is significant. To contain the fire, firefighters had rightly destroyed delicate vegetation to build containment lines. But the grasses will return in the spring. 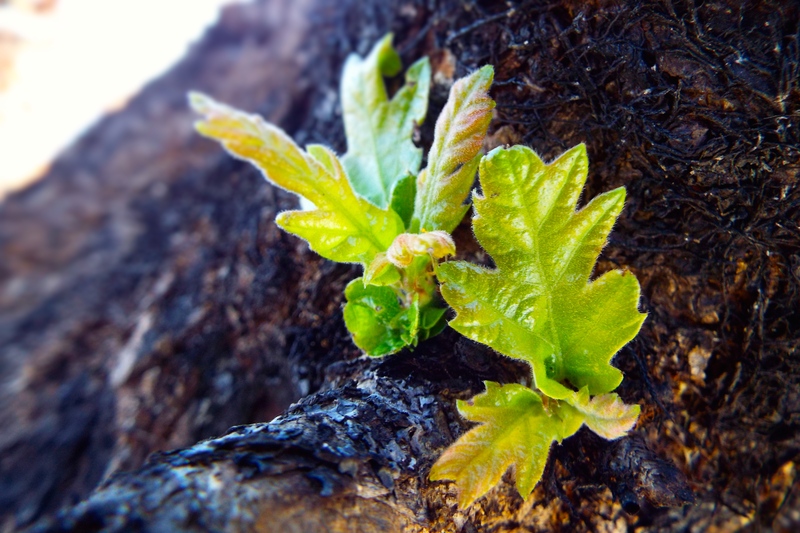 The many surviving trees have already started to sprout new leaves despite the season. 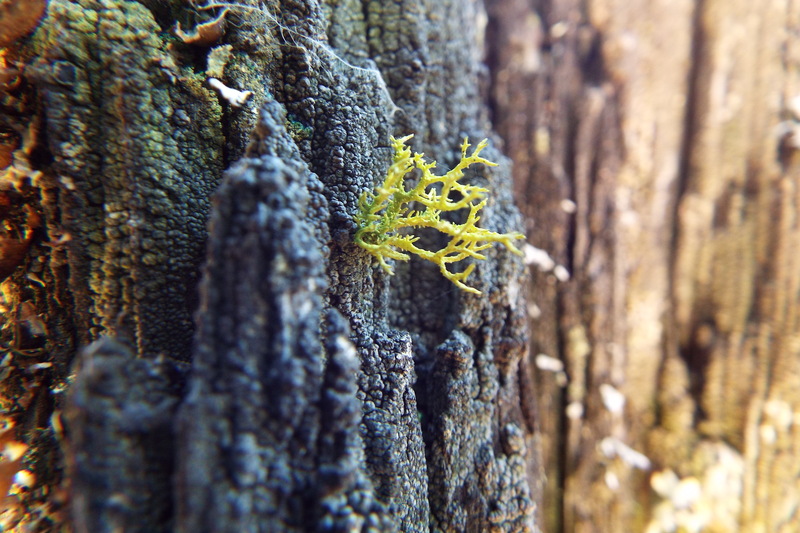 The lichen in all its delicate beauty has found sustenance in scorched fenceposts and tree stumps.